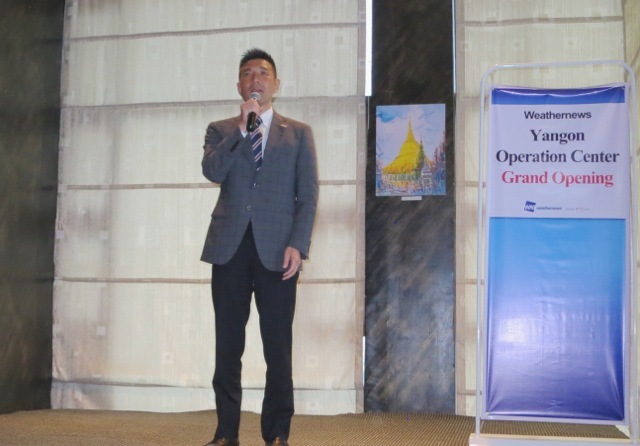 Weathernews Opens Yangon Operations Center – Weathernews Inc.
Weathernews Inc. (Chiba, Japan; CEO: Chihito Kusabiraki) is proud to announce the opening of our new Yangon Operations Center (YOC) in Myanmar. The YOC is the latest addition to the Weathernews network of operations centers in Japan, Denmark, the Philippines, the Netherlands and the United States. Since 2015, graduates of the Myanmar Maritime University (MMU) and Yangon Technological University (YTU) have been interning at Weathernews, and mutually deepening understanding of the art of sailing. The strong work ethic and pride of the young Burmese makes them a good fit for Weathernews, and they bring high level of specialized knowledge with them to the new Yangon Operations Center. The new staff are now getting familiar with worldwide weather patterns, and will apply this knowledge to the creation advisory content for Weathernews customers. Weathernews are very impressed by the graduates working as interns over the past year. The culture of mutual consideration and dedication to group efforts in the interns is similar to Japan. Young graduates are highly motivated, and Weathernews has established the YOC with great confidence in their abilities. 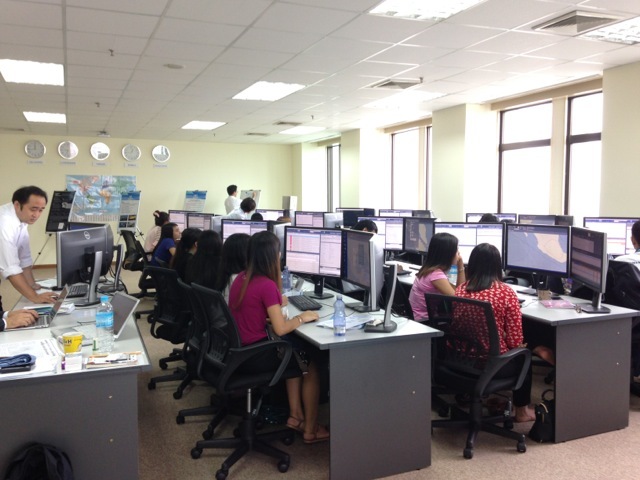 Currently there are seventeen new staff members learning about weather on the world’s most commonly traversed trade routes and Weathernews’ service operations in order to create weather advisories and route recommendations for customer operators and vessels. 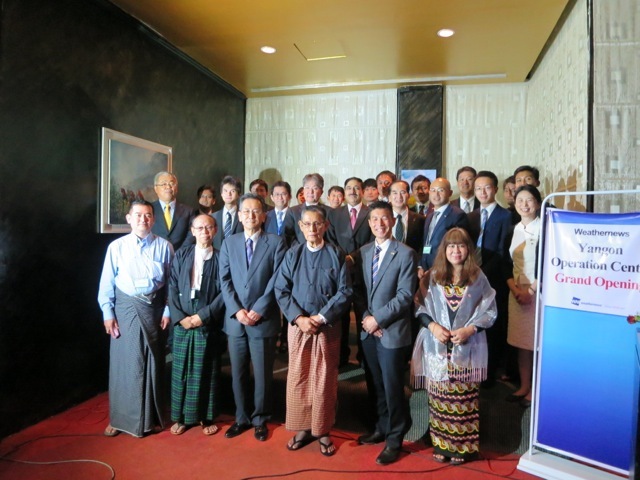 An opening ceremony for the YOC on June 8th was held at the Sakura Tower in Yangon. The Japanese Ambassador in residence, Tateshi Higuchi, was in attendance at the ceremony. Ambassador Higuchi commented that safety and stability are essential elements in Myanmar’s development, and that he is looking forward seeing the possibilities of Weathernews’ presence in Myanmar contributing to both countries. Also in attendance was U Tin Oo of Myanmar’s National League for Democracy (NLD) who joined attendees for a group photo at the event. His presence signifies the importance to Myanmar’s economic development while preserving its traditions. National television and newspaper coverage following the event reported our high praise of the local YOC staff, confirming the significance of the assignment for YOC staff and their families. Weathernews are also making plans to invest into communications infrastructure to assist the safety and stability of all modes of transportation in Myanmar in the near future.